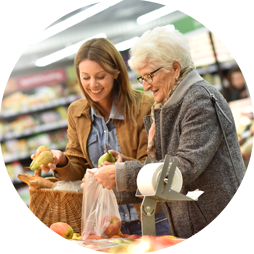 We create individually tailored Home Care Packages (HCP’s) that help consumers to stay at home for as long as possible while giving choice and flexibility in the way care is provided. 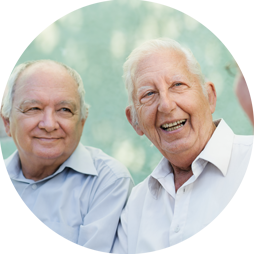 We conduct Centre-Based Social Support Programs in Murray Bridge, Tailem Bend, Mypolonga, Mannum, and Metropolitan Adelaide aiming to rekindle old friendships and encourage new and lasting companionship. We offer Home Maintenance and Modification services through the Commonwealth Home Support Program. 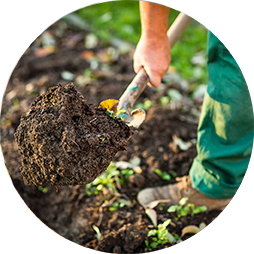 These services assist to keep your home and garden safe and in order for you and your guests. 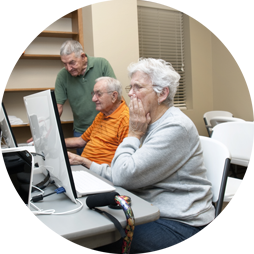 We provide iPad classes to older community members in Murray Bridge on an ongoing basis encouraging the elderly to become familiarised with modern technology. WHY CHOOSE MURRAY MALLEE AGED CARE GROUP INC? I have the best carers from MMACG, I see her 3 days a week. She smiles all the time & there is laughter each time. They (MMACG) are the best. A phone call gets results everytime. They (MMACG) have been great. When we need help it is forthcoming & straight away. Knowing they are there backing us up is a great help.